Fashion designer John Galliano could spend up to 6 months in jail if found guilty for the anti-Semitic insults on his June 22nd trial, reports Reuters. Fashion faces crisis. One of the most impressive visionaries of haute couture fashion, John Galliano is facing trial. The accuses that are brought to him are racist insults to Jewish people. A few months ago, in February, the fashion designer was in a trendy bar having some drinks and at one point he said he loved Adolf Hitler. He also threw anti – Semitic insults to two people in the bar. The whole scene was filmed and, in March, the video was made public. In the capture, John Galliano could be seen abusing some of the people in the bar and saying that he loved Hitler. “I love Hitler. People like you would be dead today. Your mothers, your forefathers would be f***ing gassed and f***ing dead.” Apparently he was talking to two women. At first they were amusing themselves, but at one point, after the rough comment, one of them got angry and said to him “Do you have a problem?”. He then answered “With you? You’re ugly”. The discussion carried on, we don’t know for how long, but the video found on Youtube lasts less than one minute.. After the abusive comments shown above, Galliano continued to swear and calling “ugly” the woman. It was very clear that he had a bit to much to drink. After the accusations brought by the two abused fellow drinkers, there came a third person that claimed to have been the victim of a similar abuse last year, in October. Until now, the outburst already cost Galliano his job at Dior, where se was working over the last decade. He was first suspended and then, after the video appeared, he was fired. Some people say it was fired too fast, other say it took Dior too long. 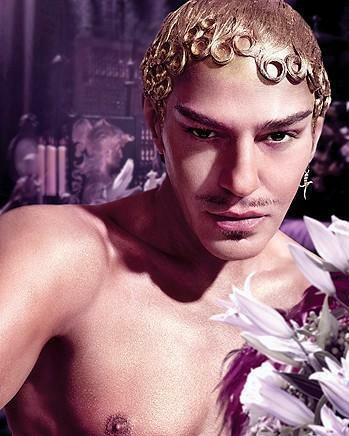 Firing Galliano was not a pleasure for the luxury brand. This was, in fact a big hit for the House of Dior. At this point, there are no new about who is going to replace the eccentric designer. Sidney Toledano, chief executive stated that it was no hurry to announce a new name. This could mean that they didn’t even find a replacement. If found guilty, John Galliano may face up to 6 months behind bars and a fine of over 22,000 euros (approximately 31,000 dollars). Is Dior waiting for the finality of the case? If found not guilty, will it give Galliano a second chance? Somehow, the show must go on! Previous ArticleHayden Panettiere Is SingleNext ArticleIs Kutcher Replacing Sheen in “Two And A Half Men”? Wow. He was imprisoned by people who think exactly like the Nazis.